A Silversea cruise holiday offers you the gift of forever being touched by the world. From sunlight filtering through a Tuscan grove to the smiling faces in a Zulu kraal, to the lingering taste of Andalusian sherry, you'll be engaged by the drama of breathtaking locations, challenged by the scope and diversity of world cultures and immersed in artistic achievements both grand and sublime. 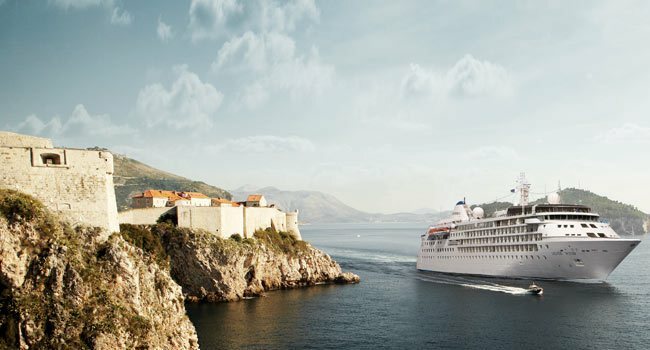 Designed to be your home upon the oceans of the world, Silversea's ships welcome you to relax in refined luxury. Whilst spacious in feel and appearance, each of our ships is small in comparison to mass-market vessels, making them agile and easily docked in less-visited, more enticing destinations. No assigned dining time, no assigned table. When, where and with whom you dine is up to you. A formal dinner served course-by-course, a late-night snack, or a full breakfast delivered at your request - with no charge and no tipping. The Viking Cooking School Aboard Silversea cruise. SILVERSEA CRUISE COMPLIMENTARY TRANSPORTATION INTO TOWN.